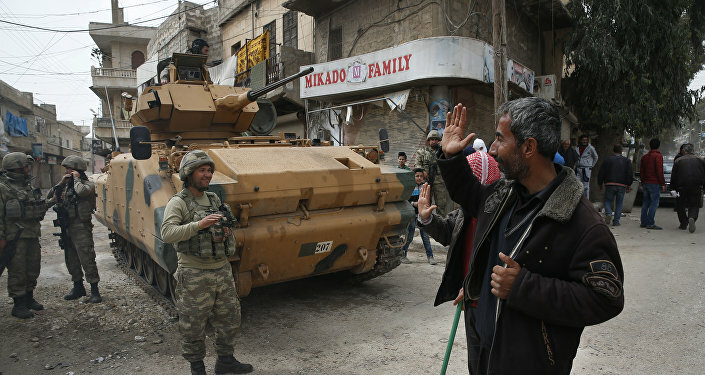 In recent years, Ankara has launched two military campaigns in northern Syria against the Kurdish YPG units, which the Turkish government says are an extension of the PKK. The PKK has been deemed a terrorist group by Turkey, the US and the EU. Last October, the Turkish parliament authorized anti-Kurdish military operations in neighboring Iraq, where the PKK is headquartered. ​The Turkish military is currently engaged in anti-PKK raids across the country as well as in neighboring states, thus countering Kurdish ambitions to create an independent Kurdish state in Turkey, Iraq, Syria and Iran, which could potentially trigger separatist sentiments in eastern Turkey. Jim Carey, editor at GeoPolitics Alert, told Radio Sputnik's Fault Lines Tuesday that Turkey's preparation to launch an operation in northern Iraq is just another way for Erdogan to consolidate his power in Turkey. "The PKK is a Kurdish liberation group mostly focused in Turkey where there is anti-Kurdish oppression," Carey told hosts Garland Nixon and Lee Stranahan. "The group is a very convenient scapegoat for Erdogan, he uses the group every election. So, this is no different. The PKK has a connection to the Syrian Kurdish People's Protection Units (YPG) in Syria," Carey explained. 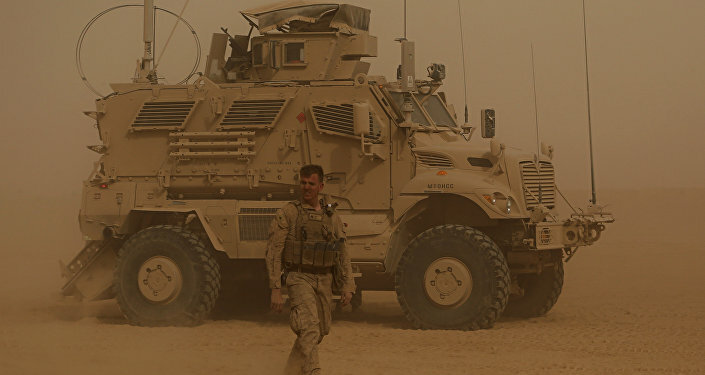 Earlier this week, Ankara and Washington, which supports the YPG as a key component of the Syrian Democratic Forces in the Syrian Civil War, agreed on a schedule to pull out Kurdish units from the Syrian city of Manbij. However, according to Turkish Prime Minister Binali Yildirim, the step, although positive, is not enough. Yildirim has further demanded that the US immediately withdraw weapons it has reportedly supplied to the YPG. According to Carey, if Ankara's operation in Iraq is like that in Syria, the local Iraqi population may become victims of collateral damage. In addition, many areas in Iraq may eventually become policed by Turkish-trained forces, as has become the case since Turkey's 2016 operation "Euphrates Shield," after which they occupied and began administering many parts of northern Syria. "There are now Turkish post offices in northern Syria. There are also Turkish universities opening campuses where the Euphrates Shield took place. I wouldn't doubt that a similar Turkish influence will also be coming into northern Iraq," Carey told Sputnik. Last week, Iraqi Prime Minister Haider al-Abadi expressed his determination to negotiate with Turkey, calling on his northern neighbor to respect Iraqi sovereignty and pointing out that Turkey has had a military presence in northern Iraq for over 30 years. 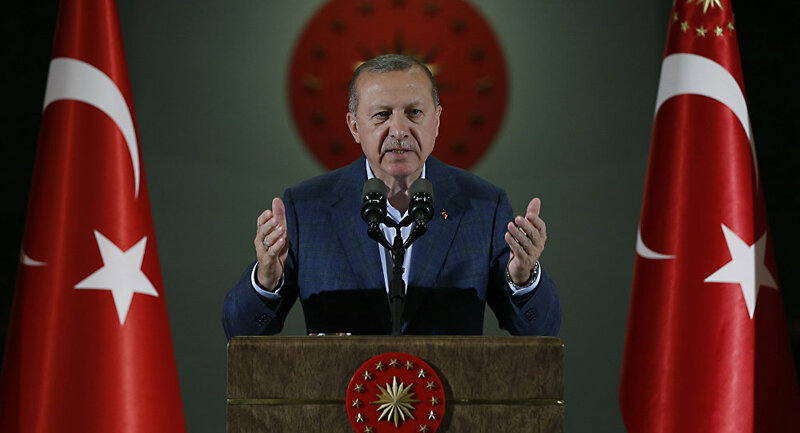 "We will not accept an assault on Iraqi sovereignty, even if it is a Turkish electoral campaign," he said, referring to the upcoming June 24 elections in eastern Turkey, Sputnik reported last week. According to Carey, Erdogan is likely increasing operations in Iraq to revive anti-Kurdish sentiments in Turkey in an effort to maintain power. Turkish forces will target Iraq's Qandil, Sinjar, and Makhmur areas in the event that Iraq's central government in Baghdad cannot eliminate the Kurdish presence, Erdogan said Friday. "Erdogan is trying to consolidate his power in Turkey. The anti-Kurdish fervor gives him the excuse to knock out some of his rivals, the biggest one being the Kurdish-backed party in Turkey," Carey said.